Remove top by turning in counterclockwise direction and remove contents of trap. Open plastic bait packet and pour contents into trap. Add 340 to 400 mL (12-14 ounces) of warm water and 1 or 2 drops of dish soap. Replace top by aligning the slots and turn clockwise ¼ turn. 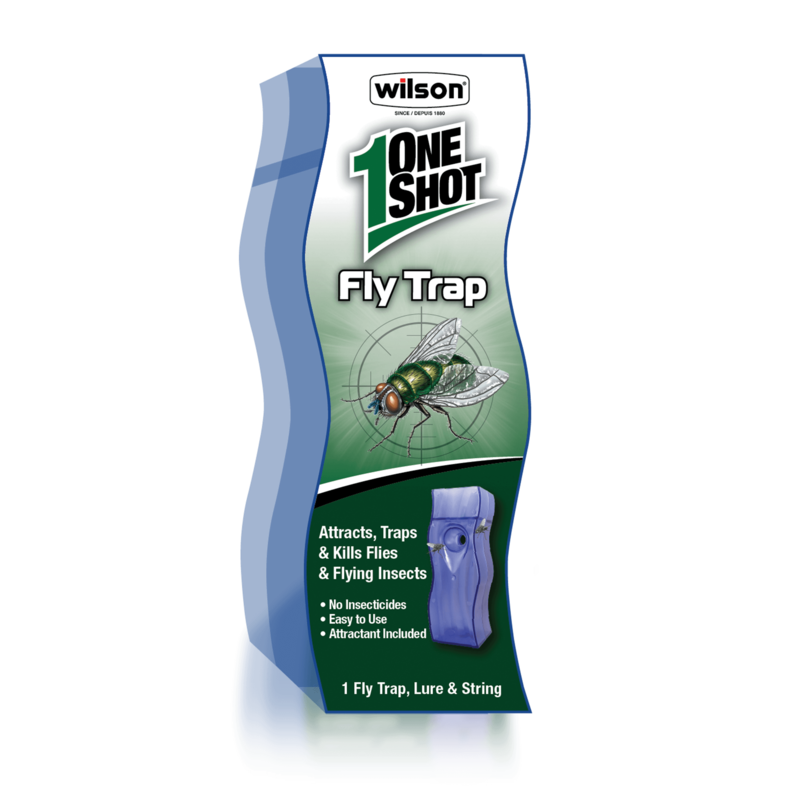 Hang trap using supplied string or in an area where flies are a nuisance. Common flies and other flying insects. Ensure at least 340 mL (12 ounces) of liquid remain in the trap at all times. Lure is effective for up to two weeks. (To re-use trap without lure, use fruit juice instead of warm water). To discard, wrap used trap securely in newspaper, paper or plastic bag and dispose of in the trash or offer for recycling if available. Store in a cool dry place inaccessible to children and pets. Keep out fo reach of children. Avoid ingestion or prolonged skin contact. Wash hands thoroughly after handling. Insects can sting. Keep trap out of reach of children and pets. Read label carefully before using the product.